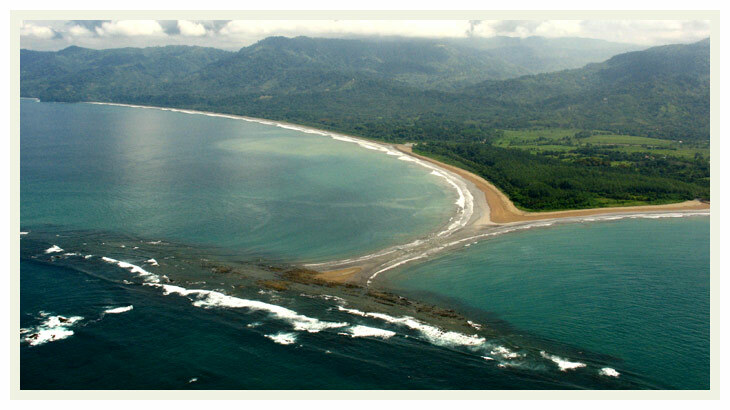 Punta Uvita is located at the northern part of the Marino Ballena National Park. Punta Uvita can be enjoyed during low tide for approximately 3 hours, but when the tide comes up, the passage disappears and becomes submerged. It is only a 25 minutes walk from the main park entrance. From high in the sky or from mountain views Punta Uvita clearly resembles a whale tail.